Sweden produced one of their greatest world cup performances as they hammered Mexico 3-0 but thanks to Germany losing against Korea, both Sweden and Mexico make it out of the group stages into the round of 16. it has been a superb world cup so far with so many unpredictable results and Sweden’s 3-0 win is as good as you are going to get this world cup. 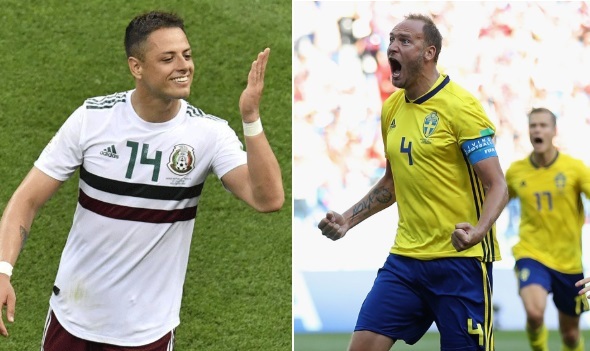 Mexico have won their opening two games in the FIFA World Cup and currently sitting top of the Group F with 6 points, however as good as it seems they might still be knocked out if Sweden beat them by more than 1 goal and Germany win their match against South Korea. However, Mexico need just a point only qualify for knockouts but finish as group winners. So its all setup for another cracking day in World Cup. Carlos Vela and Hernandez scored in what was a routine win over South Korea only down side was the fact Heung-Min Son scored late on which might prove costly for this Mexican side. Mexico secured an historic win over defending champions Germany in group f last week and than went on to win against Korea which normally means qualification however this group has been a chaos and we might see a few more surprises on Wednesday evening..
Mexico vs Sweden Preview: Sweden were dealt a killer blow in their last game when Toni Kroos scored late in injury time to win the game for Germany. 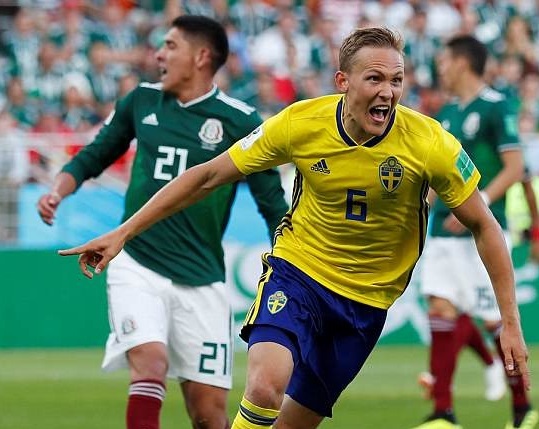 Sweden were seconds away from knocking out Germany and qualifying for knockout stages, instead they will have to beat Mexico now to ensure they continue in this World Cup. That Toni Kroos goal opened up this group where even Mexico after winning two games are not safe. Mexico defeated both Germany and Korea in what has been a superb world cup campaign so far and they only need 1 more point to ensure they play knockouts where they will face runners-up of group E. We can expect a strong side for Mexico on Wednesday evening. 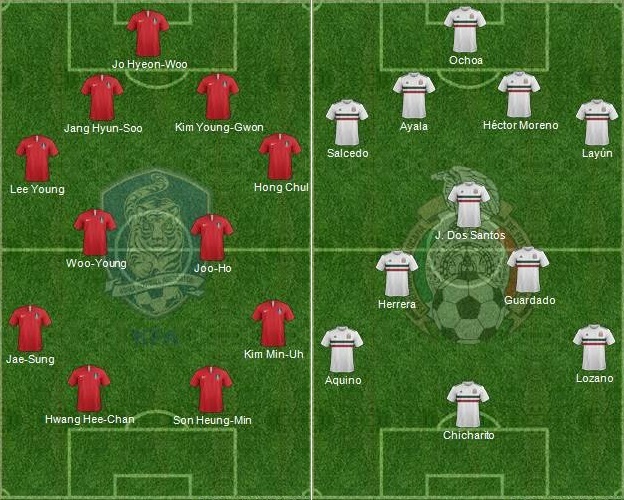 Team News & Possible Starting Lineups: Juan Carlos Osorio (Mexico coach) revealed there was a flu bug in the squad before Germany match and that kind of effected his selection but after beating world champions, he is likely to go with the unchanged squad against South Korea on the other hand might change their 4-3-3 system and surprise inclusion Jo Hyeonwoo is expected to keep his place in starting lineup. South Korea has not kept a cleansheet in 12 of their last 13 world cup matches and currently on a losing stream of three consecutive games. They fail to record a single shot on goal against Sweden in their opening match and things are not looking good for this Korean side specially considering how confident Mexico will be going into the match.